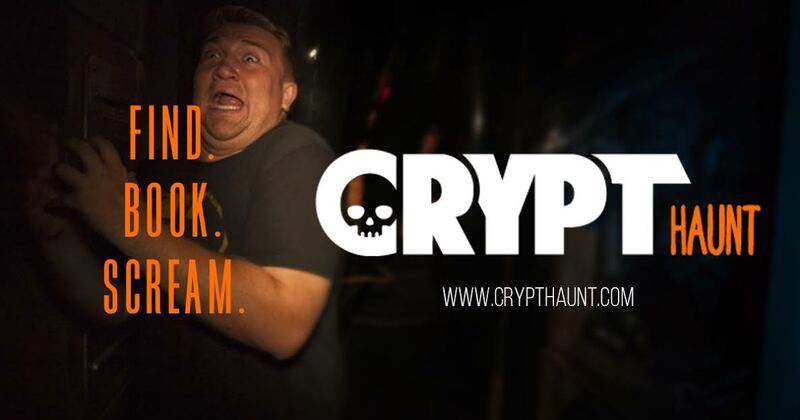 Genre brand Crypt TV and ticketing platform HauntPay have teamed up this fall to launch CryptHaunt.com, a new high-end mobile ticketing platform designed to help you discover the best haunted attractions in your town and anywhere around the country. Read on for full details from the press release (via Dread Central) on this exciting new development for the haunt community! Horror fans will be able to buy tickets to nearly a hundred haunted houses on CryptHaunt.com starting today. A select few attractions, including HUSH (Westland, Michigan), SCREAM HOLLOW (Smithville, TX), REALM OF TERROR (Round Lake Beach, IL), THE SANCTUARY (Oklahoma City, OK), and others, will be participating in a special program that includes Crypt TV creating original videos and licensing its iconic original library to enhance the guest experience. “Crypt TV’s mission is to rally online fans of all things scary, and we couldn’t be more excited to bring our content and our voice to some of the best haunted houses in the country,” Crypt TV CEO Jack Davis said. “We have loved creating original content around the biggest horror movies in the country, and now we want to bring our passion for creating short form scares and distributing it to a horror hungry audience to our fans so they can make their Halloween season one to remember,” Davis added. “HauntPay helps the hundreds of haunted attractions simplify their payment processes so they can focus on a great horror experience. Crypt TV actually gets these attractions in front of more horror fans. The combo means more fans get an even better horror experience than ever before,” HauntPay CEO Alex Linebrink said. Crypt TV, backed by horror icons Blumhouse Productions and Eli Roth, creates original short form scares for the digital age. Since its inception in April, 2015, Crypt TV has amassed over 1.5 million fans and records over 30 million views a month. HauntPay, a division of Passage Inc., powers scary simple ticketing and payments for haunted attractions across the US. Since 2014, HauntPay has completed over $10M in haunted attraction ticket and product sales to over 400,000 haunt and horror fans.